The host mothers I’ve had on most of my 17 buildOn Trek experiences have been my age. These women are typically nearing 30 years old, already have several children, and are always leading lives vastly different than my own. In Kanari, Nepal, my host mother, Priyanka, was younger than me, with two girls ages seven and five. She had gone to school for a few years as a child, but married in her teens and had been a farmer most of her life. Like many men in this part of the country, her husband worked across the border in India to earn higher wages while she spent her time farming, raising her children, and creating beautiful crafts like baskets and woven flowers. She and the girls were ecstatic to receive a new buildOn school in their community. 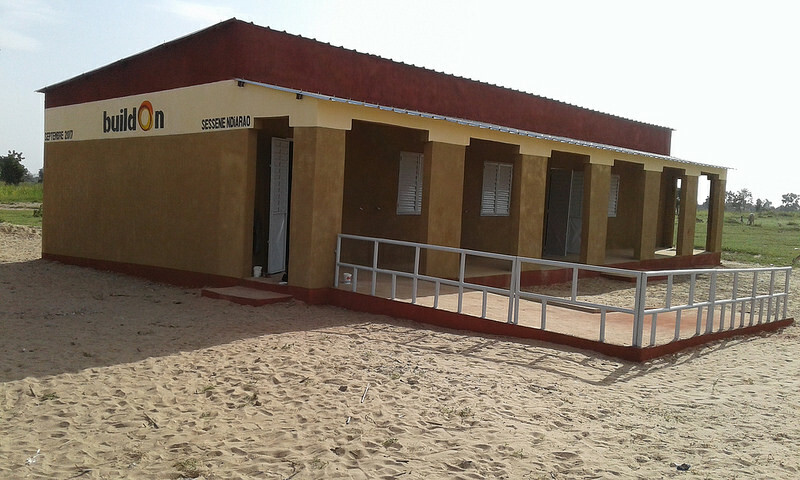 The village would be able to satisfy demand for more classroom space to educate their growing population, and also offer adult literacy classes. In our daily lives, it isn’t easy to remove ourselves from individual routines to truly understand what life is like elsewhere – in neighboring cities or in distant villages on the other side of the globe, like Kanari. The nonprofit buildOn’s Trek program was created to give students, donors, and volunteers a first-hand cultural experience in underserved communities abroad, and an opportunity to ‘walk in the shoes’ of a stranger. The Trek groups do this while building schools together with the local community after the groups have personally fundraised for the school. Through relationship building across cultures, Trek volunteers and local community members develop a powerful connection that deepens impact and enhances the giving experience. For nearly 27 years, buildOn has built 1,175 schools in seven countries: Nepal, Nicaragua, Senegal, Burkina Faso, Mali, Malawi, and Haiti. To ensure government primary schools are providing quality and sustained education to the local community, buildOn uses a collaborative school building methodology based on shared responsibility. The community is responsible for contributing land for the school, some building materials, men and women in equal number to serve on the leadership committee, and volunteer builders. It also commits to educating boys and girls in equal numbers. The local government agrees to provide teachers, furniture, and learning materials. 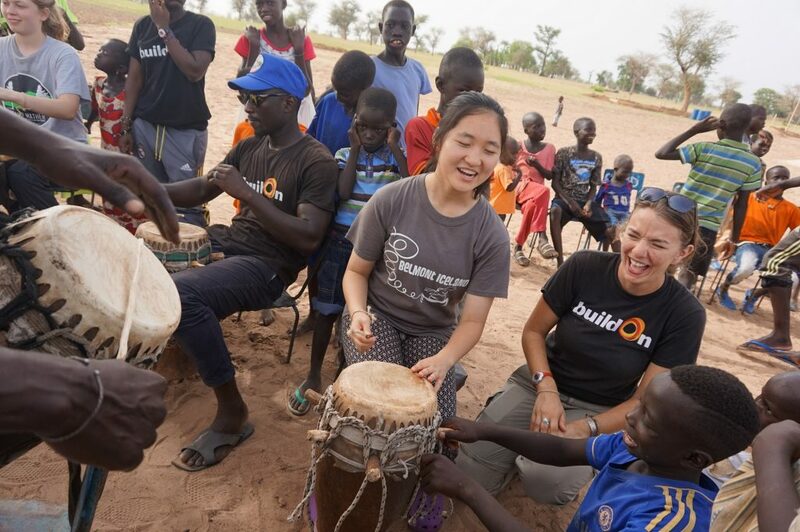 The contribution from buildOn arrives in the form of skilled labor, engineering and project supervision for construction, supplies and building materials not readily available in the community, and short-term volunteers, when there is a prearranged service trip from a Trek cohort. For four to ten days on Trek, volunteers immerse themselves in the community. Part of the power of the experience is that before arriving to the project site, volunteers spend months fundraising for the school’s construction. Finally, after traveling hours away from their destination country’s capital, often across valleys and over mountains, Trek volunteers arrive to the community. Volunteers are hosted by local families where they wake up together, work together, and eat together. On the worksite, during hands-on cultural workshops and through local interactions, they experience the power of empathy as they absorb the context of the people they’ve come to live and work with. The window into the daily lives of their hosts is eye opening. They learn each other’s names, listen to each other’s stories, play with the children who are future students at the school, and build strong bonds with the community. As a Trek Coordinator for two years, I worked with a wide variety of volunteers from corporate donors to college sororities to high school students. No matter the background, the intention is the same: live and work in solidarity with an under-resourced community and develop a connection to people whose lives are profoundly different. With this motivation as the foundation, the Trek program delivers a high impact for the organization, the volunteers, and the community. The buildings serve as more than just government schools. They become community centers and spaces for adult learning. 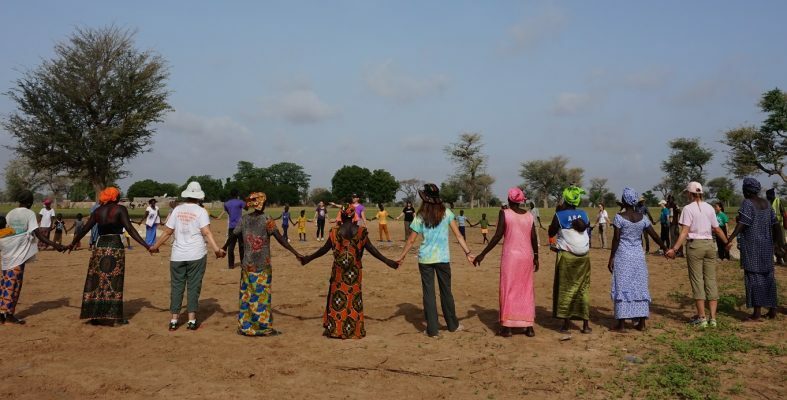 Communities often continue to use the organizing tactics of the buildOn methodology for other local projects, such as building a well or rallying support for a second buildOn school. When volunteers return home, stories of their new families and friends engender greater support for international development initiatives and global engagement, as evidenced by the volunteers who continue to donate and return to Trek year after year or students who decide to study abroad. International service should be designed to forge shared connections between all stakeholders. I often think about my host mother from Kanari, Nepal. Our time together reminds me of the power of empathy. The understanding of our shared humanity motivates each of us in our separate lives. Through service trips, volunteers and community members connect and learn that, no matter our background, we are a global community, each of us deserving of compassion, dignity, and equitable opportunity. The buildOn methodology and other international service initiatives build citizen diplomats by encouraging the development of global fluency. Citizen diplomacy is the concept that every global citizen has the right, even the responsibility, to engage across cultures and create shared understanding through meaningful person-to-person interactions. Citizen diplomacy is recognized as a powerful force in building and sustaining a secure, economically sound, and socially interconnected world. For more visit The Center for Citizen Diplomacy.